How does an injection molding plant operate? Home » Basics » How does an injection molding plant operate? How does an injection molding plant operate? I believe many people have thought about this issue and want to learn about this issue. Now I will try to tell you about this unknown world and talk about the day-to-day operations of the factory. I have an "invisible job" that is seldom acknowledged but universally valued. You see almost everyone likes to use their cell phones, computers, drive their cars, play CDs, and enjoy the fruits of all our hard work. However, almost nobody would have thought of where these things came from. In fact, I was asked some very strange questions. For example, when my own mother asked me how to make a product, I told her it took 4-12 weeks to do a typical injection mold, she just stood up and answered: Oh. Let's take your computer mouse as an example. It is made entirely of plastic. It requires a mold to make mouse components. I guess there are 10 in the mouse, so it means that 10 different molds must be made. Once someone came up with the idea of making a computer mouse, he would get a preliminary product design, and then an injection molding factory contracted to create a mold, a mold designer came out with a "blueprint" (no one used the blueprint, it is called CAD, Because it is done on the computer, the mouse is finally molded into plastic parts. So, they got the plan from the mold designer. Together they put forward a "how to make" program. The whole mold has a lot of details. Therefore, in the next month or two, the processing plant works with mechanics, apprentices, and other factories to produce all the shapes and parts that contain the finished injection mold. They need special tools to cut the steel on very complex machines. Each can easily spend $150,000.00. Then there is a very mysterious machine called a discharge machine. The name of this machine is EDM, which is the main way that all these shapes are produced in the plastic parts you use, such as a curved mouse. The EDM is a bit like your fist plunged into a dough ball, leaving your fists imprinted in the dough. EDM produces any shape of steel that can be made in graphite. 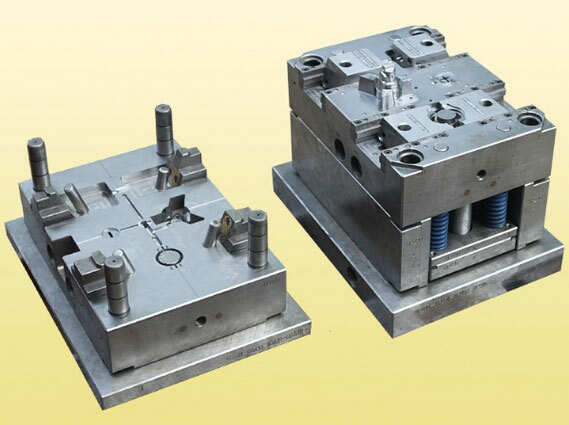 Therefore, the injection molding plant gets shaped steel and puts them in the bracket (mold base) so that everything is perfect, so the plastic parts come out of good quality, clean, and if he does poorly, you will see some of them Ugly lines, or some plastic wings, stick out like you saw on a cheap Chinese toy.